This is a video of two candles surrounded by autumn pumpkins and wheat. 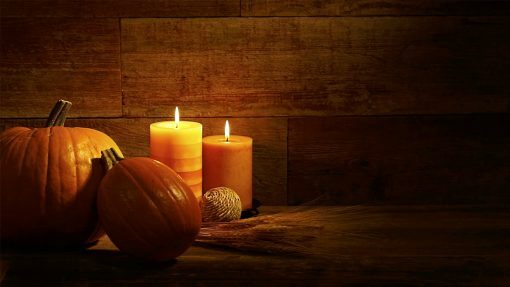 This video would work well during the fall season for Thanksgiving.The background is made up of old retro urban wood and is lit very darkly to allow for a lot of copy space using white text in the upper right corner of the video. There are no people in this video. This video has an old timeless feel. The file size is 1920 x 1080 and set on a 30 second loop.